The state of Iowa has a total land area of 55,869 square miles. It is home to 99 counties, 10 state forests and 84 state parks. As of 2010 the Iowan population totals at around 3,046,355. It was officially declared a state in the year 1846. Today, Iowa is known as being one of the nation’s top food producers. In fact, it produces a tenth of the country’s food supply- both covering manufactured products and raw agricultural products. Some of its other major industries include non-electrical machinery, electrical equipment, printing, publishing, and fabricated products. Some of its tourist attractions include the library and birthplace of Herbert Hoover, the Amana Colonies, Fort Dodge Historical Museum, the Iowa State Fair and the Effigy Mounds National Monument. A lot of farmers and businessmen flock to Iowa to invest in its rich industry. If you’re one of them, or simply a local resident who is looking to switch homes, you should know that moving takes a lot of time and preparation. The first thing you have to determine is whether or not you’ll be hiring professional movers. A lot of people feel that hiring movers is a waste of money because they would rather do everything themselves. What they don’t know is that getting professional help is actually more beneficial for them. Professional movers can significantly speed up your moving process. Just think about how much time you’ll save in packing, loading and lifting, driving and transport, and then doing everything again for unloading, and unpacking. When you hire professionals, they can do this for you. Another benefit of hiring movers is that they’ll come prepared with all the necessary materials- boxes, tapes, bubble wraps, trolleys, etc. And most importantly, they know how to handle various materials whether it be delicate pieces of art, electrical appliances, or bulky furniture. This means reducing the risk of damage or injury. When you factor in all of the benefits, hiring professionals is definitely the better option. 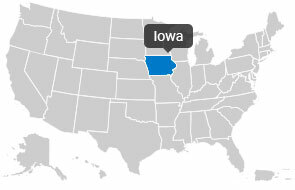 The next step you need to do is go and find Iowa movers. Lucky for you that with Top Mover Quotes, you need not look very far. 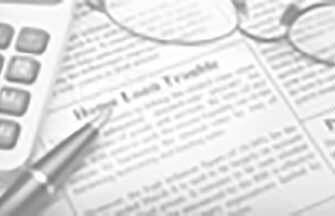 Top Mover Quotes is the country’s leading source for online quotes. With our help, you can find quality movers without leaving the comforts of your home. Just tell us what you need, and we’ll send the movers directly to you. You can be sure that all of our contacts are verified and properly accredited. We can help you start your Iowa move right away! Smoldt Moving & Storage is a family-owned-and-operated residential and commercial moving and storage company in Des Moines, Iowa. Our company is currently in its second generation of co-ownership, and is an interstate agent of Wheaton World Wide Moving, a top carrier. This affiliation gives us access to some of the top equipment and resources in the industry and allows us to perform local, long distance and international relocations with ease. Established in 1980 Welcome to Smoldt Moving & Storage. We are a family company now in our second generation of co-ownership and an interstate agent of Wheaton World Wide Moving equipped to perform local, long distance and international residential and commercial relocations. Based in Iowa, we've proven ourselves to be the Des Moines movers most trusted by the people of our service area - and we have the years of experience and the industry accolades to prove it. Moving Furniture and Appliances. Furniture and Appliance Delivery. Loading and Unloading Rental Trucks and Trailers. Debris Removal & Disposal. Dead and Unwanted Appliance Removal. Moving Labor. Established in 2007 Moving Labor At Low Cost To Help Customers Save Money. Meet the Business Owner: Dan F.
I Move Mountains On Rock At A Time.